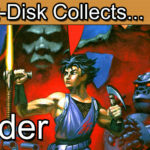 Insert Disk collects Atomic Runner for the Sega Mega Drive / Sega Genesis. 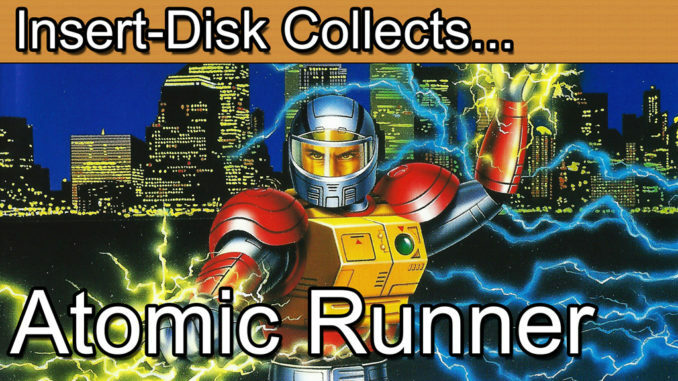 Today’s retro game review is Atomic Runner for the Sega Mega Drive / Sega Genesis. This retro gaming classic started out life in the arcade as Chelnov Atomic Runner Chelnov – Nuclear Man, the Fighter and Cherunobu (チェルノブ) in Japan. It is widely believed that the games origins reference the nuclear disaster of Chernobyl in 1986. The development of the game Chelnov – Atomic Runner is one of Soviet disaster, controversy and ultimately a reworking to reclaim the essence of the game without the shadow of its dark origins. Greetings collectors and welcome to today’s retro game review. 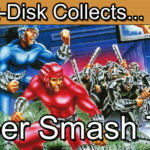 It’s not often that a home edition of a game ends up as the superior edition to the arcade but that’s exactly what happed with today’s game of Atomic Runner for the Sega Mega Drive. Sadly Atomic Runner holds a rather dark origin story that is seldom told but an important one all the same. A game that rose from an era of communism and one of mankind’s most devastating nuclear accidents. Atomic Runner started life in the arcades back in 1988 and released under the name Atomic Runner Chelnov – Nuclear Man, the Fighter. In Japan the game was also released under the name Cherunobu. For those of you that know your history of man-made disasters you can start to see why this game was so controversial at the time and perhaps explains the lack of a European arcade release, officially only JAMMA boards for Japanese and North American regions were released. Back in 80’s Europe we were deep in to the cold war. Capitalism vs. Communism, East vs. West. The region had been at odds ideologically since the end of WWII. Many cities in Western Europe and the allied forces had been largely crippled by the axis bombing runs. Germany had been divided in to East and West regions and the rise of the Soviet Union began as it annexed several neighbouring countries such as the Baltic States, Ukraine and many more. There was an uneasy peace during this time. By the early 80’s Western Europe was getting back on its feet but Eastern Europe struggled under the arguably unsustainable methods of the communist Soviet state. Little did we know though that just around the corner Europe would become the stage for events that shape our region and wider world to this day. In 1986 catastrophic events caused by a flaw in core of the Chernobyl nuclear reactor would go down as one of the worst nuclear incidents of all time. At the time the town of Pripyat was part of the Ukrainian Soviet Socialist Republic. The flaw in the reactor made the nuclear reactor become unstable. Before we knew it real life horrors were spilling out across the region as fire devastated the Chernobyl facility and radiation poured out in to the surrounding area. Allegedly in the early stages of the disaster the Soviet propaganda machine began to deny the extent of the events. However, a disaster on a scale this large couldn’t just be hushed up. The full extent of the tragedy would be played out for years to come. Exclusion zones of over 100km were put in place, dozens of civilians died in the coming days with 1000’s more dead over the following years and hundreds more hospitalised for long periods after. With little in the way to stop radiation sickness iodine solutions were one of only a few limited treatments after the fallout. To this day it has never been quantified of the true loss of life associated with the event. We do know that those affected is likely to run in to the thousands if not tens of thousands of people. All told the Chernobyl disaster caused unfortold ecological damage with reports of mutated animals due to the increased radiation levels as well as an on-going legacy to this day. The radiation did not discriminate by its victims and remains one of the worst European disasters of all time. For the brave first attenders at the scene combatting the leak this was a one way trip. So, let’s make a game based on this someone thought over at Data East. Simply one of the most mind-blowing decisions ever and still a decision that looms over Data East to this day. The game came to us in the form of Chelnov in North America and “Cherunobu” in Japan. In the arcade editions you control a Soviet Union coal miner called Chelnov who has been caught in a nuclear disaster and gains his powers as a result of the accident. The Japanese name of the game “Cherunobu” seems to directly reference the nuclear disaster of Chernobyl. To balance the argument here Data East responded in a television program that the name “Chelnov” was merely a relative of Karnov. One of their leading game mascots of the day. However, throw in the Soviet Hammer and Sickle, the direct naming translation and the fact that the nuclear disaster happened just 2 years prior the games release it’s fair to say that they knew what they were doing. The evidence was damning enough. Now, Chelnov might easily have been forgotten. After all, just look at the long list of 80’s arcade games and it’s quite likely that once the initial controversy was over the game would just fade in to history. That would have been the case if it were not for Sega. You see Sega needed great content for the Sega Mega Drive and Genesis and despite its rather tasteless premise, there’s no denying that Chelnov was a great game. In 1992 we saw Sega release a somewhat modified Chelnov on the Sega 16-bit consoles and it was a superb conversion. It surpassed the original in several ways. So how was it that Sega turned living memories worst man-made disaster in to a 16-bt masterpiece? Firstly, the game would now simply be called Atomic Runner. However, the decision to keep the main protagonists name as Chelnov survived. Next, that Soviet imagery, gone. It’s important to remember that in 1986 at the time of the Chernobyl disaster and 1988 the year of the arcade release the Soviet Union was still very much a thing. Although not for much longer. By 1989 Europe was at the brink of change. On 9th November 1989 the Berlin Wall dividing East and West Germany fell creating the re-unified country of Germany that we know and love today (even if they do keep beating us in the World Cup). By 1991 the cold war was almost completely over and the Soviet Union had collapsed. If you live in Europe you’ll remember just what significance the year 1991 had for us all. Former republics annexed in the Soviet expansion had begun to declare independence. The Baltic states of Estonia, Latvia and Lithuania had declared independence by September 1991. By the end of 1991 Belarus, Uzbekistan, Kazakhstan, Georgia, Azerbaijan, Moldova, Kyrgyzstan, Tajikistan, Armenia, Turkmenistan and of course Ukraine (site of the Chernobyl disaster) had declared their independence. The Soviet regime desperately tried to keep control but no-one was listening. The Soviet era had ended. This is at least partially what made the 1992 release of Atomic Runner acceptable. With the Soviet Union gone the Atomic Runner game had at least a bit of a fresh start to bury its old back story. It’s clear that Sega went to extreme lengths to distance any reference to either the Soviet Era or the Chernobyl disaster. The old story line now ripped up in favour of something more family friendly. The Mega Drive edition now contains a long exposition setting up the back story. Chelnov is now a scientist living and working alongside his father in a harmonious and happy life. Chelnov returns to his house after a huge explosion is heard to find his father dying. His father proceeds to fill in some missing detail. Wait for it. Yes, its aliens. The Deatharians who claim to be the original inhabitants of earth who were here before the dawn of man are back and want to claim what’s rightfully theirs. Chelnovs father claims to have known all this for years which is the reason he and his son have been working on science projects for so many years. Chelnov’s father then proceeds to give him a suit that will increase the strength of a normal man to super-human levels. Implanted within the suit are various weapons and devices. Plot twit number 2, the Deatharians have also taken your sister so you have to suit up to rescue her and destroy the aliens. Plot twist number 3, before you even end the exposition your father dies and you are captured by the Deatharians. The story explains how you are captured, tortured and the aliens also attempt to brainwash you. At the last minute, you break free and go on a rampage against the hostile invaders. So yeah, that escalated quickly! From, were having a nice time in the garden to actually we’re being attacked by aliens, your sisters been kidnapped, your fathers now dead, quick here’s a futuristic killing suit, by the way your now being brainwashed and tortured. Say what you want about the changes Sega made I’m all for this new backstory. It’s clear that the main menu has also been changed with an emphasis on the suit rather than the accident. So, now with an interesting backstory the 16-bit Sega edition had won the moral high ground to recreate the game. We were all used to seeing decent conversions of arcade games on the Sega 16-bit consoles but Atomic Runner went the extra mile. The backgrounds are now more detailed as are the sprites themselves. The music is at least on par with the arcade and the control system has been given an overhaul. Atomic Runner is no ordinary run and gun affair. For starters you can’t stop running. That’s right you can move forward, stand still and jump but you can never walk to the left except when fighting the level bosses. You are reliant on the never ending scrolling screen to catch up with you. This is a fantastic game mechanic, it’s an unusual experience to start with but I came to really enjoy it after a while. As you run along you’ll be shooting down the enemy, some on the ground, others flying at you. You can either shoot them or jump on them. It’s up to you to use your best judgement. Of course you will also need to pick up power ups. Typically these either increase the range of your shot or the power. Both are vital if you are to survive the stage and are lost if you die. 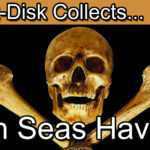 Thankfully they are fairly abundant so you should be ok to pick up where you left off in most cases. The third pick up is a change of weapon. There’s a decent variety of lazer shot, fire wheels, boomerang and even a wide area metallic ball shot. It’s very satisfying to experiment the best methods of surviving the level. The game is very free flowing and with practice you can pull off some incredibly skillful manoeuvres to best navigate the levels. For an arcade based game there are of course the legacy of boss battles. These are the only times when the auto scrolling stops and you are somewhat free to take down the enemy. Level ones dragon is really epic for such an early point in the game and helps set the tone that the game is going to get much larger in scale. Atomic Runner is not a game that everyone will find easy to pick up. As mentioned earlier, the control system is something that you will need to get used to. As you can’t walk left there will be times that you shoot down a power up but are unable to go back and pick it up. Unlike most run and gun games this askes the player to think and plan their wave of destruction through the level. A simple rush strategy is unlikely to provide the best results. Add in to this the complexity of the button and pad control system itself. You can jump, fire and turn Chelnov to face either left or right. It’s this choosing left or right direction that takes getting used to. When you pick this one up you would think that left on the pad would face you left but it doesn’t, left means stand still. Instead there is a specific buttons to face the other way. However, the game menu does include several options here so it’s worth finding a method that works for you. The game is undeniably addictive. Choosing a direction to face, whether to jump on an enemy or shoot as well as knowing the most appropriate weapon all builds to a fascinating experience. As mentioned at the top of the episode Atomic Runner really does outclass the arcade original. Side by side the Sega home editions just look crisper, more detailed and even have extra content. For a physical release Atomic Runner also stands up reasonably well. The artwork is really well conceived and even if you didn’t know what the game was about it’s enticing enough for you to at least look at the cover and explore this one further. 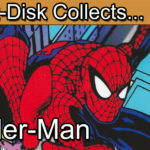 The main design of course makes it on to the game cartridge and manual as was the style of the Mega Drive releases of the day. I’ve spoken a bit about the original Chelnov arcade release and how likely it was to offend or at least be considered inappropriate particularly at the time of its release. And I’m sure that a lot of you are thinking, surely Chelnov is not unique in referencing the Chernobyl disaster and you’d be right. 2007’s S.T.A.L.K.E.R. : Shadow of Chernobyl and of course the Call of Duty games both make reference to the events of the disaster as do many other games. You only have to type “Chernobyl movies” in to Google to also see how many horror movies also reference the events. What sets Chelnov apart though was the timing of the game. It’s important to remember the context that in 1988 people were still dying of radiation related sickness caused by the event. This wasn’t some archive footage of a bleak past, this was happening now. Now, I have to say that I’m personally not a big fan of censorship in games. My preference would be to be given the information and I’ll make my own mind up on whether I agree with the content. It’s for that reason I’d like to think that I wouldn’t have played Chelnov in the arcade but have no issues with those that did. No matter how grim the origins we have to remember that it is just a game at the end of the day. When you look at other media such as Radioactive Man from the Simpsons and the direct links to the Soviet era in his backstory it’s also very clear that the events of Chernobyl likely influenced his creation. It’s just executed in a much more generic way. It doesn’t dodge the question of super hero origin stories via nuclear disaster. It just doesn’t sensationalise real-life events. On paper you would have to say that Atomic Runner is a game that was unlikely to ever happen. Based on a game, based on a real life Soviet era tragedy is one of the more unusual origins for a game and in theory has no right to exist let alone be a classic retro game. What Sega did here was to make a reasonably brave decision. Their belief in the game concept itself was enough to resurrect this title. Moving the action to a more modern setting, complete reworks of the level designs, elimination of the Soviet theme and reference to the Chernobyl disaster all paid off to create a great home gaming experience. Atomic Runner may not be a game particularly well known to the younger crowd of today but you’re almost certain to still find Chelnov on controversial video game top ten lists. However, take away the controversy as Sega did and you might just find one of the most addictive retro games you’ve played in years.